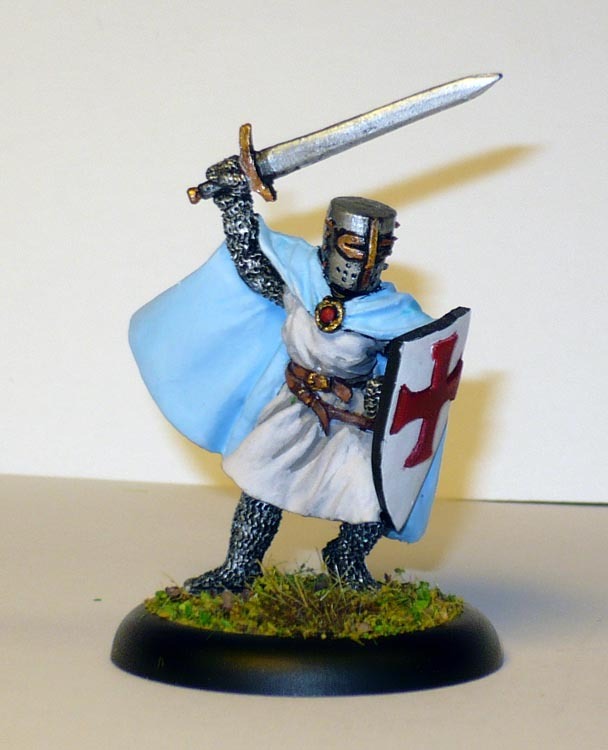 This miniature is from way back when, and has seen many different abortive coats of both paint and arms. None of which ever worked. So today I decided to just get it done. The picture does not show the nice colour transitions in the cloak nor the tabard. Too harsh lighting. I think I need to look into making some sort of light box or some other way to improve the pictures.